Learn about the history of computers, the four components of a computer, how computers get input, how computers store information, how computers process information, how computers deliver information, and which is smarter people or computers. How does a computer work? The critical components of a computer are the peripherals (including the mouse), the input/output subsystem (which controls what and how much information comes in and out), and the central processing unit (the brains), as well as human-written programs and memory. Bettina Bair walks us through the steps your computer takes with every click of the mouse. 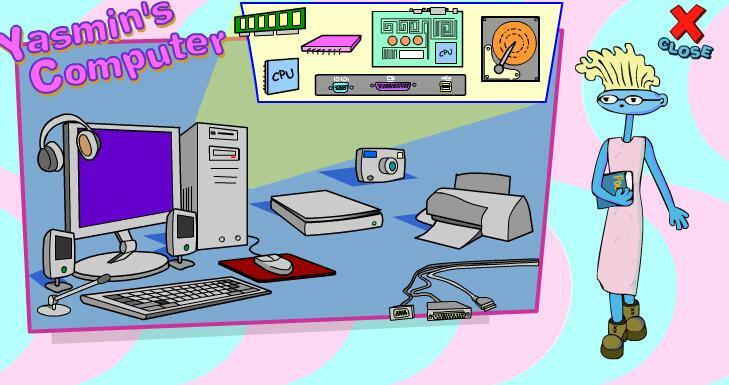 Take a look at all of the main components inside your computer! Includes: processor, power supply, RAM, hard drive, CD/DVD/Blue Ray player, Video card, and motherboard. An explanation of the basic parts that make computers work: hard drive, RAM and micro-processor. An explanation of two different kind of computer software: the operating system and software programs. Remember, another word for "software programs" is software, programs, applications, and apps! Input devices are the way you get information "in" to a computer. It's the way you talk to the computer. These include the keyboard, mouse, microphone, scanner, digital camera, touch screen, etc. Output devices are the way you get information "out" of the computer. It's the way the computer talks to you. These include the monitor, speakers, printer, etc. Here is a link to the answer key for this game. 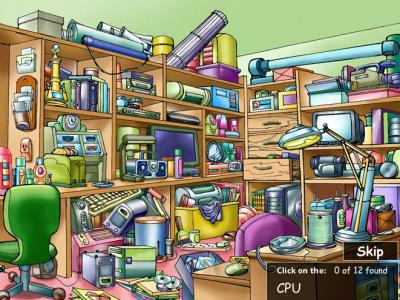 Click on different objects in Yasmin's Computer room to learn about them. 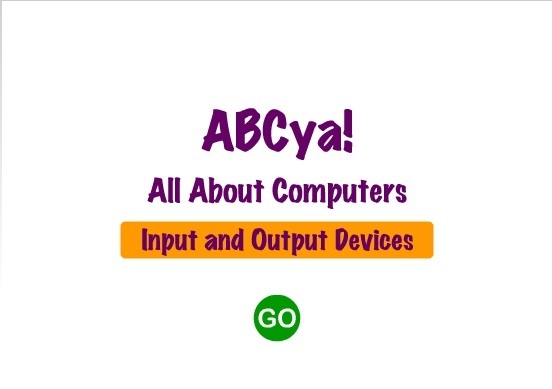 Test your knowledge of basic computer terminology. 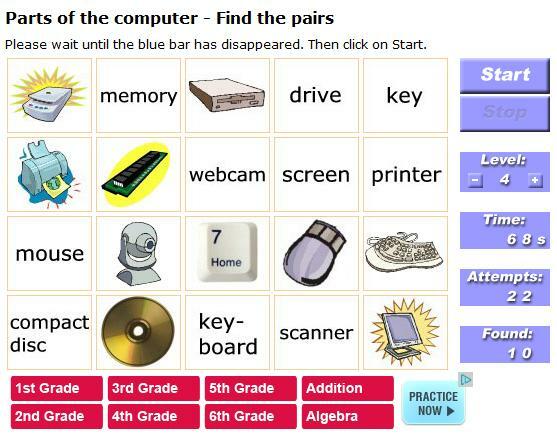 This online activity does not "self check", so students can get the wrong answers and move on.